You're part of the Alice's Table family, so we are with you every step of the way. No floral knowledge needed!! Learn skills and be creative. Interact with friends, while meeting new people. Build a business while building your community. What Does an Event Exec Do? 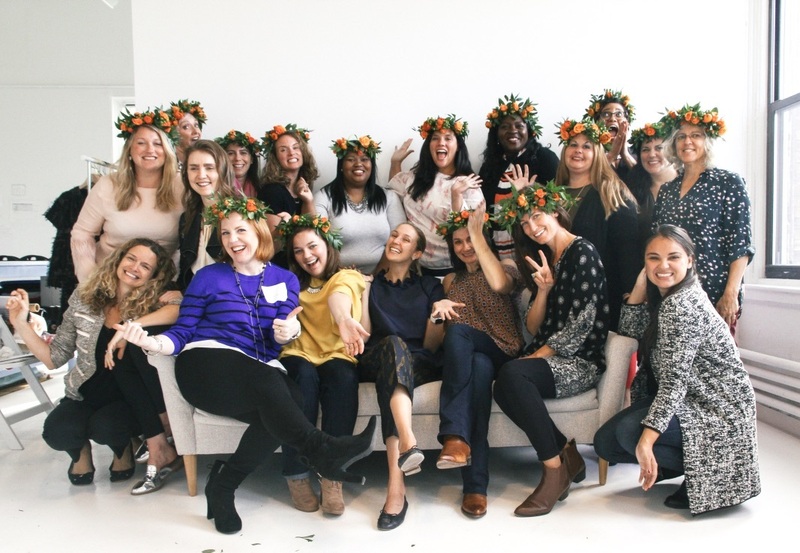 Our Event Execs, teach women in their communities how to flower arrange. They are the go to gal for planning, birthday parties, girl's night out, and more! You can host private events or open events to the public through online ticket sales. 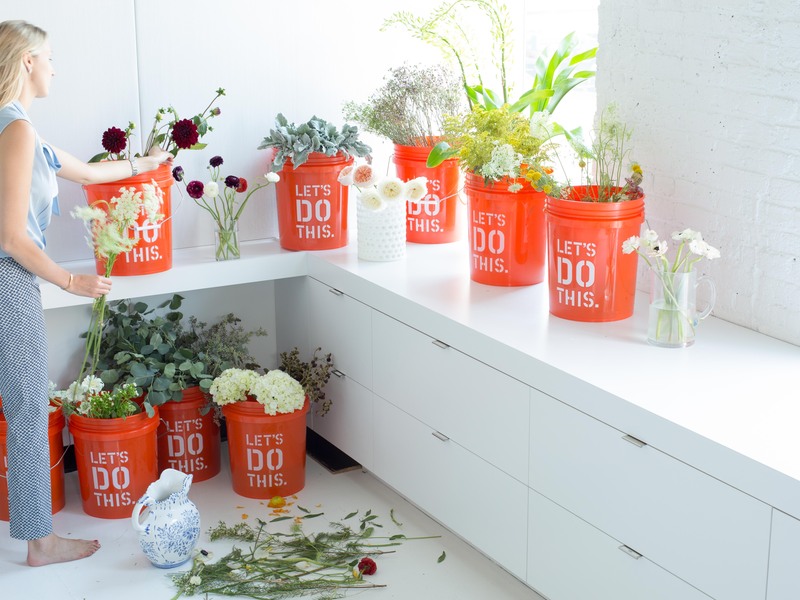 We will teach you everything you need to know about flowers. Create a fun experience for guests while they sip cocktails and enjoy! Create lasting friendships and business relationships on your own creative schedule. It's Your Business, Your Way! We handle all of the payment processing, customer support, platform access and more for your business. In return, you take home up to 70% commission on ticket sales before the cost of flowers. On average, supplies cost $22 per person, per event. Your earning potential is huge! Your starter kit comes with everything you will need to launch your business. Lifetime access to our event management platform that helps you manage ticket sales, order flowers, market your events and more! Everything you need to launch your business for just $805. This low cost can be made back in your first 2-3 events. You'll receive a gift of the reusable materials you will need for a 20 person Alice’s Table event including: 20 aprons, 20 clippers, 20 rose strippers, 6 large buckets, 6 trash buckets, 5 watering cans, 3 spray cans, and plant food. Access to our training platform with 5 training modules including: Running An Event, Floral Knowledge, Marketing, Sales, and Weddings. A dedicated team member at HQ that will guide you every step of the way. Shark Tank: Founder Alice Rossiter Lewis, Receives A Deal On Shark Tank! Alice's Table aired on Shark Tank in January 2018 and received a deal from two amazing, veteran entrepreneurs, Mark Cuban and Sara Blakely! Here's what Founder & CEO Alice has to say about Alice's Table, what she sees for the future, and what living beautifully means to her. The desire to turn your passion for flowers into a profitable venture is no silly dream. Turn your floral arranging skills into a money-making side gig! We are committed to making you a blooming success! Your journey starts now. We handle all the needs of your customers with a smile, leaving you free to build your business and be creative. Your dedicated Event Coordinator is here to support you every step of the way, driving you towards your goals to make sure you become a success. We are a strong community that believes in living well and working hard. You’re never alone in celebrating your successes. We manage all of the ticket processing and absorb any of the fees associated with credit cards so you can have the highest earning potential. An extensive variety of information sheets, templated emails and other tools are on demand from our platform. We provide comprehensive video and virtual training to ensure that you launch your business with confidence and all the skills you need. Hear from our ROCKSTAR Execs! "When I joined Alice’s Table, I was working in the finance industry and was looking for a creative outlet to decompress from the rigors of my intense day job. Being an Alice’s Table Event Exec has allowed me to express my creativity, meet new people and teach others a great new skill!" "I had kind of resigned myself to the idea that I couldn’t possibly find something that I enjoyed AND that gave me the flexibility that I was seeking. Imagine my surprise when I found out about Alice’s Table! I get to be creative and social, and still be a stay at home mom."